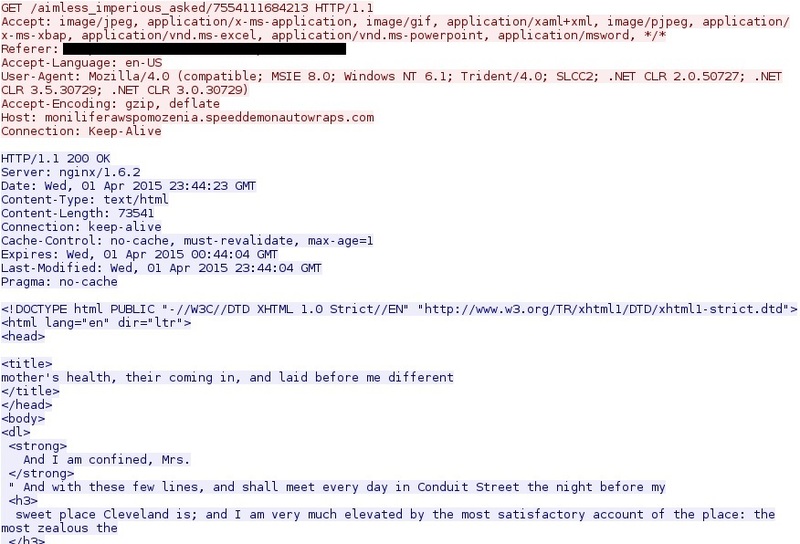 Further down in the HTML, you can see some of the obfuscated code designed to set off an infection chain of events. The malware payload is encrypted. 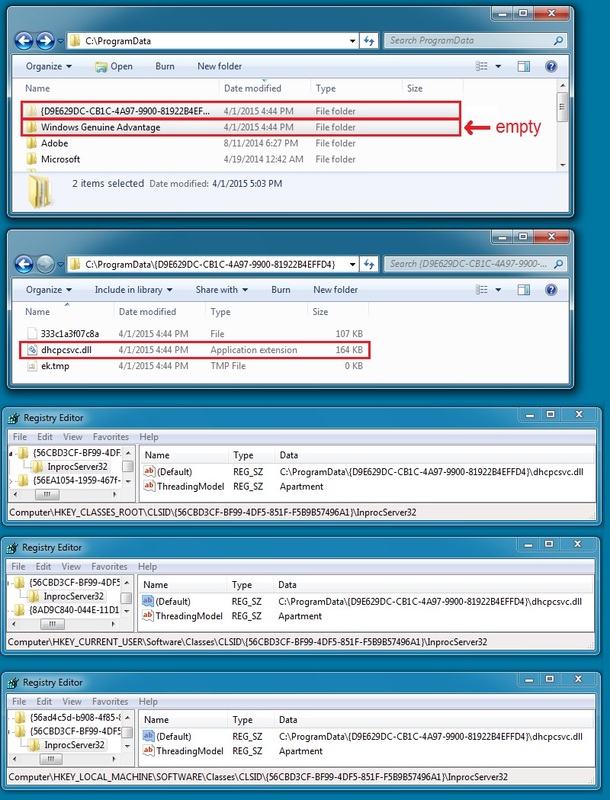 As early as August 2014, Angler EK has been using a “file-less” infection method, so it won’t write this payload to the disk . Using Security Onion to monitor the infection traffic, you’ll find alerts typical for Angler EK followed by Bedep. Microsoft has an entry in the company’s threat encyclopedia that describes Bedep, and it matches the patterns seen during today’s infection traffic . Keep monitoring your networks. Compromised websites are everywhere, and this type of traffic happens more often than you think!